Gastroesophageal Reflux Disease or GERD has many other names that you may be more familiar with. 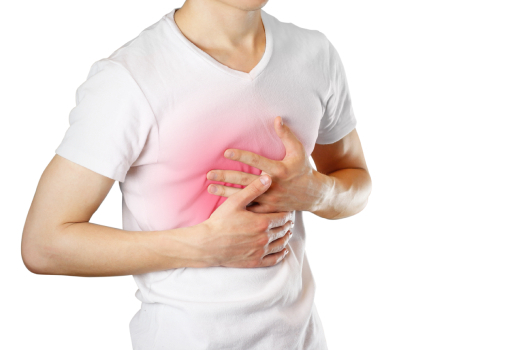 You might refer to it as acid reflux, indigestion or heartburn. GERD is when the contents of the stomach can sometimes reflux back up into the esophagus. As the contents of your stomach contain acid, damage can be caused, and you may experience an unpleasant taste. If you experience this at least twice per week, then you may have GERD. There are many reasons for GERD. However, one of the most common can be your diet and lifestyle. Some of the following symptoms include heartburn around the chest area or a burning sensation, bitter taste in the mouth, a horse cough and regurgitating small particles of food. After you swallow, a muscle called the sphincter relaxes to allow food into your stomach and then it will close again. If this muscle gets weak or does not function correctly, it can allow food to flow back into the esophagus. By visiting a doctor, they can usually perform some tests to diagnose if you have GERD. Some of the tests they may conduct are placing a small camera in the throat, an x-ray to look more closely at your stomach and a motility test to check how your movement is around the esophagus. The first step begins with your diet. It is recommended that you cut out any spicy and greasy foods. At night when you sleep, it is a good idea to keep your head and shoulders elevated. Before and during a meal, ginger tea has been known to help sufferers of heartburn or acid reflux. After you eat, it is advised that you do not lie down with 3 hours and you should avoid eating before bedtime. Some other general lifestyle changes that you can make include, quitting smoking, losing weight and regular exercise.